Sometimes a few words, or one word, or lines from a poem inspire me for days. Under this page on the menu you find some of my inspirations. 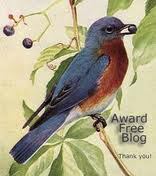 New Earth Heartbeat is an Award Free Blog - Thank You! Wanna get emails with new stuff? 109,990 Thanks for your visit! What is the source of consciousness? Do we affect consciousness? Is our world the reflection of a deeper reality? What is the ultimate Reality? What is our True Being? Can we contact Reality? Contemplate the changeless constant. New Earth Heartbeat by Tomas Qubeck is licensed under a Creative Commons Attribution-NonCommercial-NoDerivs 3.0 Unported License. All rights reserved as per Creative Commons License: see above link. Permissions for other uses: haudegen4711"at"gmail.com // I do not own rights to images sourced from Google; they are copyrighted by their creators unless otherwise noted. Click on image for link to source page.